On April 3, 1968, Martin Luther King Jr. arrived in Memphis to support striking sanitation workers and delivered a powerful address that proved to be his last. 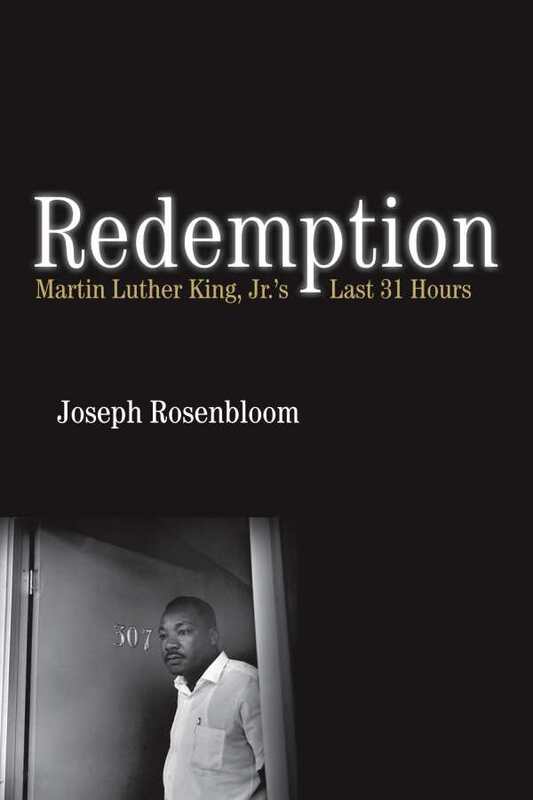 In the excellent Redemption: Martin Luther King Jr.’s Last 31 Hours, journalist Joseph Rosenbloom re-creates the events of that visit and explores the many challenges King faced at the time. His narrative prose proves to be as gripping as a good novel. In what would be the final phase of his life, a national antipoverty campaign had become King’s top project. His Poor People’s Campaign was a massive and expensive undertaking that weighed heavily on King and his team. At the same time, his vocal opposition to the Vietnam War was turning away some former allies, and a younger generation of civil rights activists treated his message of nonviolence as out of touch. Some of King’s staff were unhappy with his detour to address the Memphis strike; King nearly skipped his speech that night altogether before audience demand made him reconsider. Such factors add to the drama of the book, and Rosenbloom does an expert job of threading all that background and conflict into a chronological story. He also shows King in quieter moments, over dinner with friends or joking with colleagues. Though King is obviously the book’s focus, Redemption also provides plenty of context around the visit. The sanitation strike is thoroughly explored, from the workers’ grievances to Mayor Henry Loeb’s attitude toward the situation to the March demonstrations that turned violent. Rosenbloom also recounts the backstory of King’s murderer, James Earl Ray, and his own actions during those crucial hours, as he traveled to Memphis, purchased his weapon, and used aliases in attempts to cover his tracks. Thorough research and myriad story lines work together perfectly throughout. Redemption becomes a valuable account not only of what happened in King’s final days but of all the historical momentum that was lost on April 4, 1968.